Inaugural Concert of a New Light Music Orchestra! The newly established Manchester Light Orchestra will be performing their inaugural concert next week! A celebration of Light Music including works by Franz von Suppé, Eric Coates (Dam Busters March), Robert Farnon, Leroy Anderson and Ernest Tomlinson (Passapied & Concert Jig). It will be conducted by Alexander Webb. Alexander Webb is a conductor from Swindon who is now based in Manchester. He studied percussion at Birmingham Conservatoire and graduated in 2012. He went on to achieve a distinction as the Timothy Reynish Conducting Scholar and is continuing his studies as a PhD Student at the RNCM, researching the music of Ernest Tomlinson as well as the presentation of Light Music more broadly. Alex is the Director of Music for the Greater Manchester Police Band and Conductor for Poulton-Le-Fylde Band. 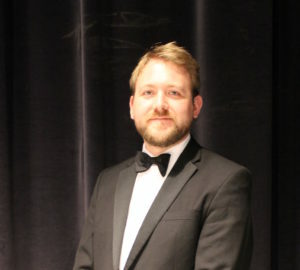 He made his debut with the BBC Philharmonic Orchestra in June 2018 and has appeared as a conductor for National Youth Wind Orchestra, Settle Orchestra, Liverpool Mozart Orchestra, British Police Symphony Orchestra, Swindon Symphony Orchestra, and Swindon Chamber Orchestra.